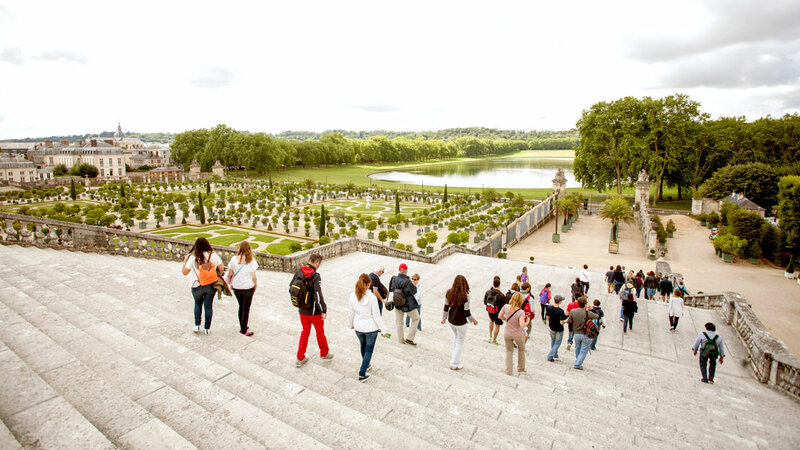 It's hardly surprising that the Palace of Versailles attracts over 10 million visitors per year – it's one of the most majestic places on earth, no exaggeration. Every nook and cranny is worth exploring, but if time is tight, here are the highlights. This is the palace's most resplendent room. Each of its 17 arched windows is decorated with 21 mirrors, resulting in a stunning spectacle as light is reflected off 357 mirrors! Though it's just one of five chapels in the palace, this opulent architectural wonder is by far the most breathtaking. Marie Antoinette's wedding took place here. Lavishly decorated from top to bottom, the king's apartments are absolutely ravishing -- you'll deem them to be "fit for a king." 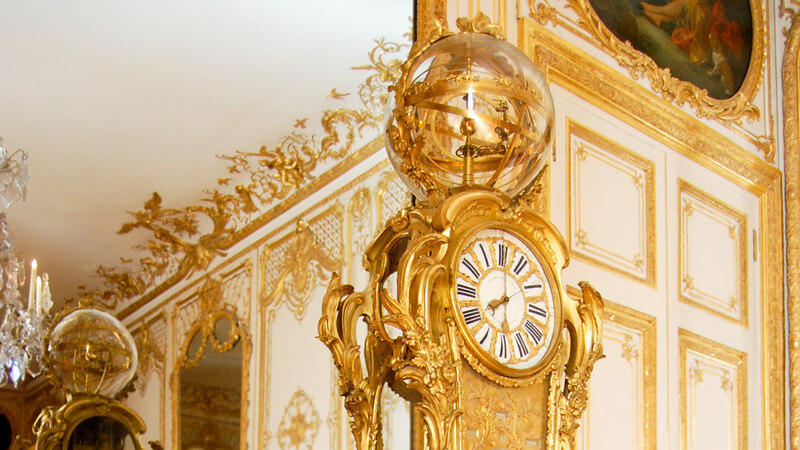 This room's 250-year-old clock is a technical marvel. Not only does it show the time, date, and even the phases of the moon, but it also features a working model of the solar system! With its impeccable lawns, geometric flower beds, rows of statues, and ornamental lakes, the splendor of the palace's gardens rivals even the most ornate interiors. 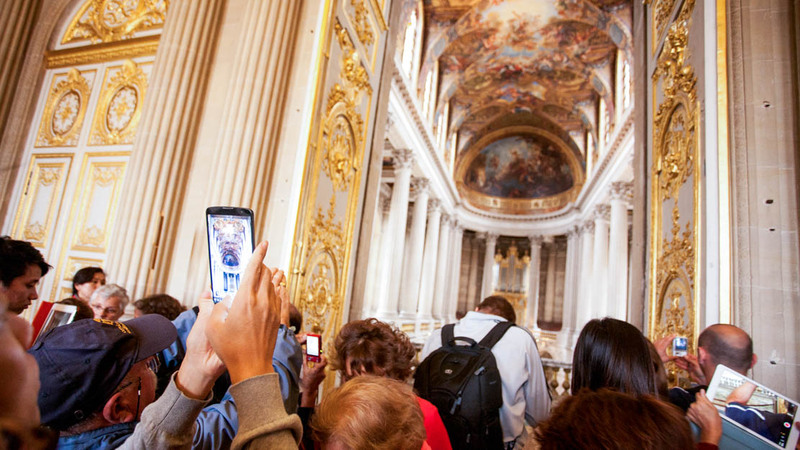 When planning your visit to the Palace of Versailles, keep in mind that the palace is closed on Mondays. On every other day, the visiting hours are from 9:00am to 5:30pm, and from April until October, they're extended to 6:30pm. 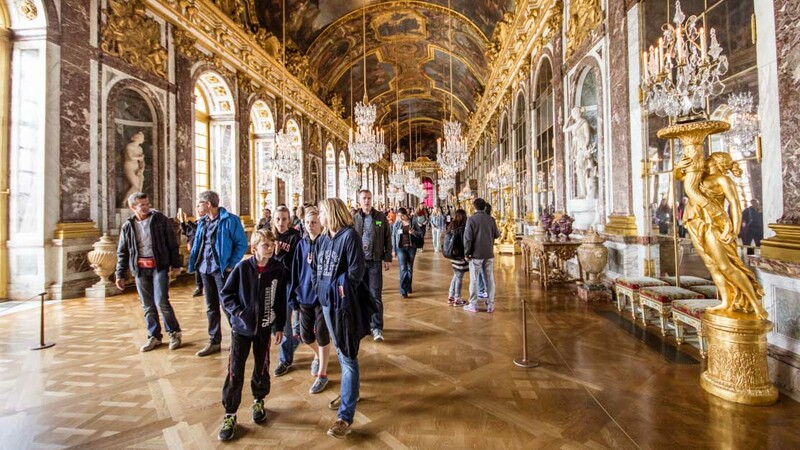 You'll be amazed by the size of the Palace of Versailles and the sheer amount there is to see. Even if you just stick to the above highlights, you'll want to give yourself ample time. On the other hand, if you intend to see everything, you may even consider spreading your visit over more than one day trip. The Palace of Versailles' musical fountain shows are quite simply awe-inspiring. They're held from April until October, on every weekend and public holiday from 11:00am to 12:00pm and again from 3:30pm to 5:00pm. It's absolutely worth scheduling your visit for the fountain shows. Closed Mondays. Opening times vary from high season (Apr 1st to Oct 31st) to low season (Nov 1st to Mar 31st). Tickets for guided tours start from €32, depending on the type you would like. No, but there are audio tours available. Versailles is one hour outside the city. 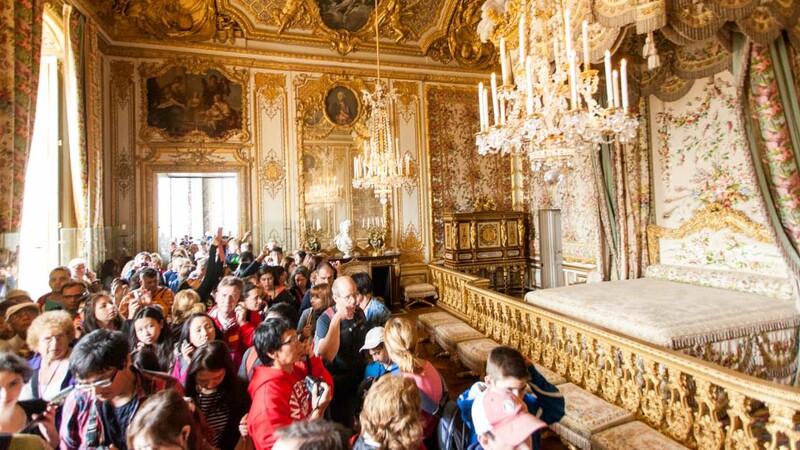 Get there by the Versailles Express coach, leaving twice a day from the Eiffel Tower, or taking an SNCF train from either the Montparnasse or Saint-Lazare station. Make sure you are informed about ticket validity and train schedules ahead of your visit.